In a previous post, you read that it is still possible to sell your home after you have filed for Chapter 13 Bankruptcy. But once you have received an approval from the courts, closed the sale of your property and allocated the proceeds to your trustee/creditors, what do you do now? How do you go about buying a house when you have filed for Chapter 13? First things first: you will most likely not be able to qualify for a home loan if you are still in debt, under an active Chapter 13 payment plan. Filing for bankruptcy puts a huge damper on your credit score for a few years. 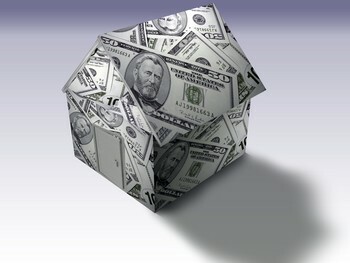 However, keep in mind that other factors go into acquiring home loans besides your credit score. This includes the amount of money you have for a down payment, your positive payment history on the active Chapter 13 and other credit cards, your income, etc. If the proceeds from the sale of your home cover all of your debt, your case is discharged. And although your credit score has gone down, you may recover a little faster as opposed to if you were still active on the Chapter 13 payment plan. There could even be a chance that you will make enough money from the sale of your home to repay your debt and put a down payment on a house. A common option for people under Chapter 13 is to rent a condo or an apartment for the time being, so they may get their finances in order. Watch out for those association dues, though, if you choose to go the condo route. By renting a property for a few years, you will have time to come out of Chapter 13, to improve your credit score and to ultimately prove to federal agencies that you are creditworthy of a mortgage loan for a new house.